While progressives focus on the Robert Mueller Russia investigation, the constant churn in White House staff, tariffs that seem to be backfiring, and the president’s unwillingness to read his notes prior to a phone call with Vladmir Putin, all is well — mostly — in Trumpland. 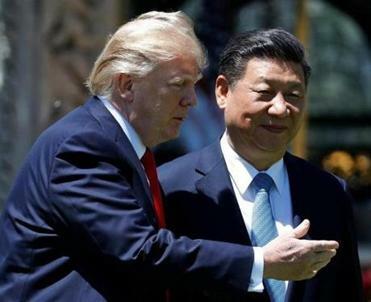 President Donald Trump first tried to disarm Chinese President Xi Jinping at Mar-a-Lago with smooth talk and hospitality. A year later, he’s resorted to hardball and found that Xi is willing to throw it back. “Trump was not my first, second, or third choice in the GOP pool,” says Lucinda from Kentucky. “I think he needs to quit tweeting and quit responding to personal attacks from the media and celebrities. He just needs to tweet about what he is doing for the country. To me, he is very immature, but performance-wise, he’s doing a great job.” Lucinda and others have a list of what they see as the president’s accomplishments: more than 2 million jobs created, the elimination of unnecessary regulations, reduced illegal immigration, the decline in the threat of ISIS, and the renegotiation of unfair trade agreements. Interestingly, two-thirds of Trump supporters tell me they believe that Mueller should be allowed to continue his investigation. Most believe that the special counsel’s effort is a very expensive “witch hunt,” but they believe that the optics of firing Mueller would mean that Trump has something to hide. Translation: We like the economy, we like the progress, we don’t like the man very much. Here’s the irony. Trump supporters tell me they are open to voting for people from either party whose priorities are close to theirs. They are especially interested in candidates “with good values” who care about helping them prosper. Says Jonas from New Mexico, “I just cannot see myself voting for a liberal Democrat who hates guns and loves abortion, like some of the leaders in Congress — but I can certainly get excited about some new, more reasonable leader who wants to help my children realize the American Dream.” This is partially why moderate Democratic candidates, like Doug Jones of Alabama and Conor Lamb of Pennsylvania, are succeeding. They are getting support both from progressives and from moderate Republicans, including those who voted for the President. As the Democrats search for the soul of their party, these nuances make all the difference. Although the president lies, Trump supporters believe almost all politicians lie; although they don’t like the president’s style, they overlook it in support of priorities that matter to them; although they cringe at the president’s words, they support him because of what they feel he has accomplished. And, although they would never vote for someone on the far left, they are open to someone – Republican or Democrat – whom they believe has their back. Until then, that brash, nasty guy remains their champion. Diane Hessan is an entrepreneur, author, and chair of C Space.She has been in conversation with 450 voters across the political spectrum weekly since December 2016. Follow her on Twitter @DianeHessan.